Looking for a tasty midweek dinner option? 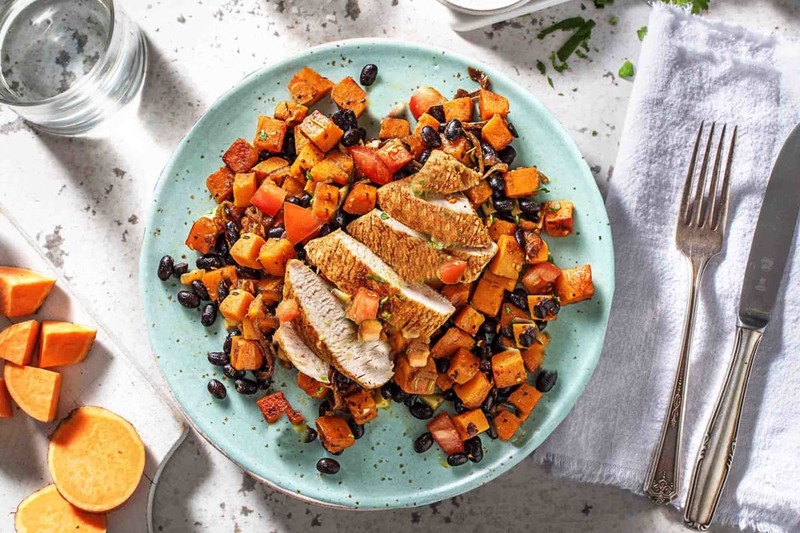 Try cooking up our Turkey steak with Sweet Potato & Beans in just 20 minutes for a balanced and tasty dinnertime. a) Heat a splash of oil in a frying pan over medium-high heat. b) When hot, add the diced sweet potato and half the Mexican spice. Season with a pinch of salt and pepper. c) Fry, stirring occasionally until the sweet potato begins to soften, 4-5 mins. a) Meanwhile, halve, peel and thinly slice the red onion. 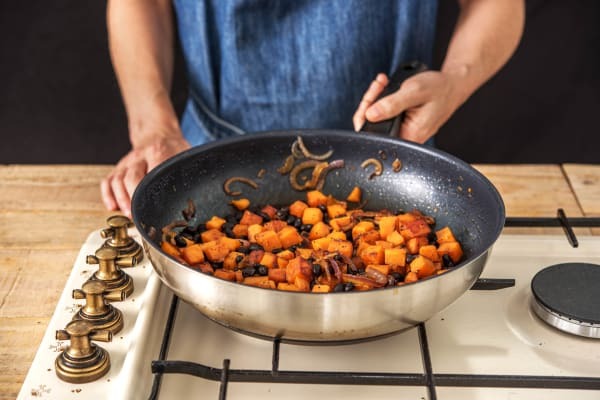 b) Add to the pan with the sweet potato. Cook until softened, 3 mins. c) Roughly chop the coriander (stalks and all). d) Chop the tomatoes into roughly 1cm chunks. Mix the coriander and tomato together in a bowl. 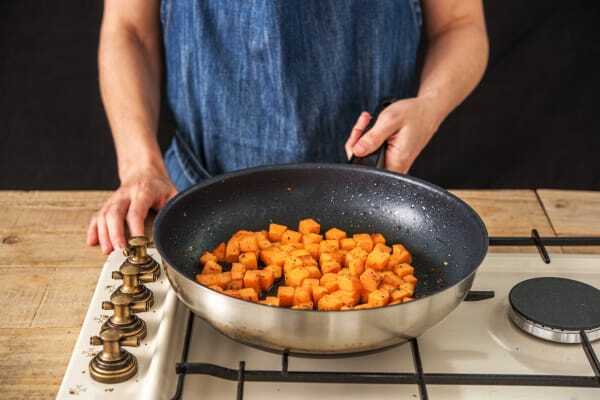 a) Lower the heat on the sweet potato and add a splash of water to the pan. b) Cover with a lid or foil and cook until soft enough to eat, another 7-8 mins. 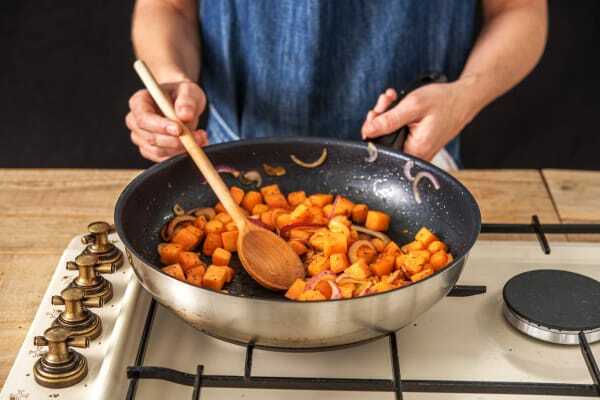 tTIP: Shake the pan every 2 mins or so to make sure the sweet potato isn't catching. 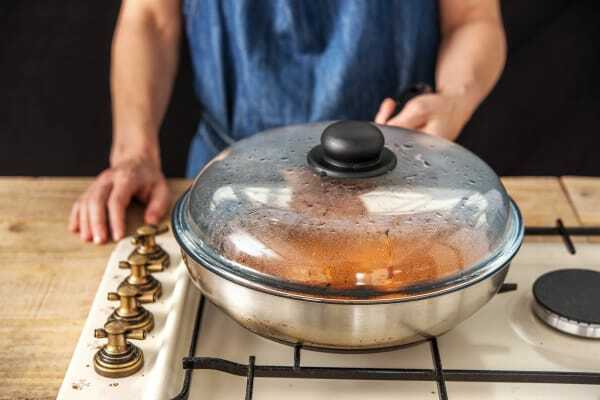 c) If the pan is dry, add another splash of water, replace the lid and keep cooking. 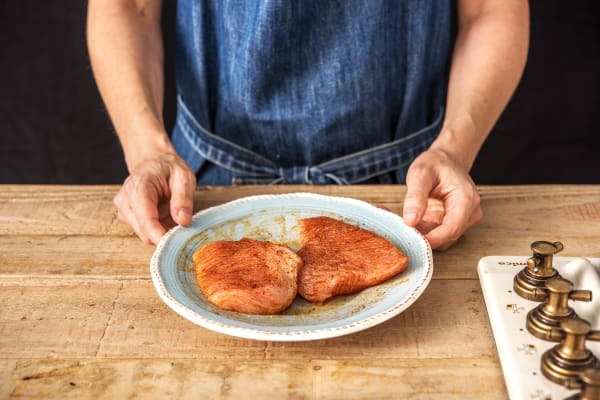 Pop the turkey steaks on a plate, drizzle with oil and season with salt, pepper and the remaining Mexican spice. Rub the flavours over the meat. iIMPORTANT: Wash your hands and equipment after handling raw meat. Pop onto a baking tray and grill until browned on the outside and cooked through, 8-10 mins. Turn halfway through cooking. iIMPORTANT: The turkey is cooked when it is no longer pink in the middle. a) Zest and halve the lime. Add a squeeze of lime juice to the tomato and coriander. b) Season with salt and pepper to taste. Add a little more lime juice if you want to! a) Drain and rinse the black beans in a sieve. Add the black beans to the sweet potato once it is cooked. Stir and cook until the beans are piping hot, 2 mins. b) Season with salt and pepper. Share between your bowls. Slice the turkey and pop on top of your beans. Finish with the tomato salsa.